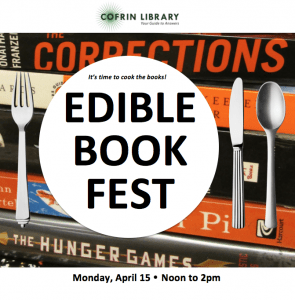 Cofrin Library’s Edible Book Fest winners announced! Enter our raffle for a chance to win an edible book! 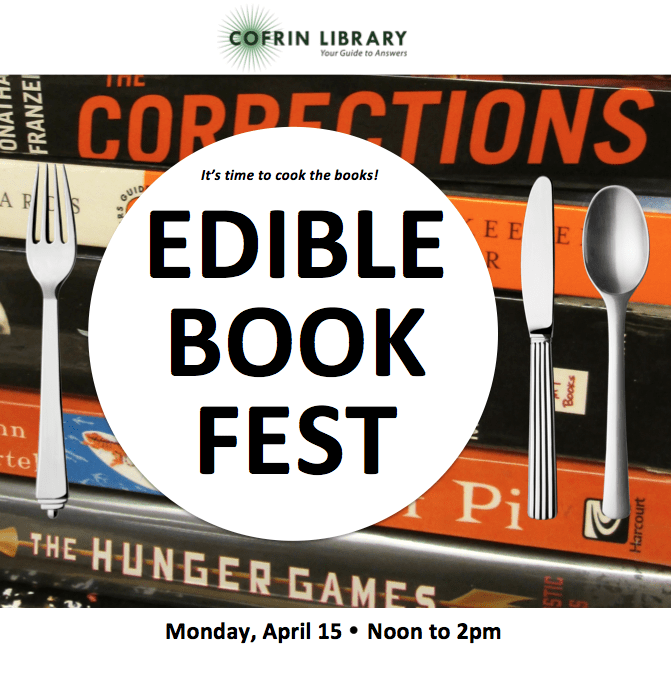 Stop by the Cofrin Library 3rd floor on Monday April 15th between 12-2 PM to view the entries in this year’s Edible Book Fest and enter for a chance to win a treat to take back to the office or home. Raffle tickets are 1 for $1 or 10 for $5. All proceeds go to a local food pantry. Raffle sponsored by Student Government Association.